Home » Posts Tagged "HB 2789"
The Senate Tax Committee last night passed out of committee a bill that dramatically cuts revenue to the state in a new tax cutting spree. The biggest issue in the bill is decoupling from the federal income tax code. Under the new federal tax bill, many people who currently itemize on their income tax will no longer be able to do so. Under current Kansas law, our income tax system is coupled to the federal system meaning that if a taxpayer doesn’t itemize on their federal return, she cannot itemize on her state return. As a result income tax collections in Kansas would go up by about $135 million next year. 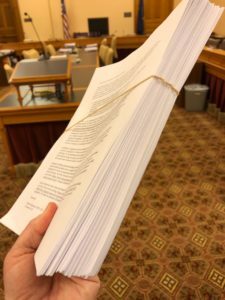 The bill passed by the committee yesterday will allow Kansas taxpayers to itemize on their state form even if they can’t on the federal form and so will wipe out the $135 million that would otherwise have come to the state. Additionally, the committee also raised the deductibility of mortgage interest, property taxes paid, charitable contributions, and medical expenses to 100%. This, because of the decoupling mentioned above, will cost the state an additional $52 million in revenue. Finally, they added in an increase in the standard deduction which will primarily help low income Kansans. Essentially, if passed this bill will reduce revenue to the state by about $157 million. The committee also passed a bill lowering the food sales tax from 6.5% to 4% in 2020 and then to 2% in 2021. 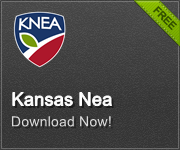 KNEA met today with Governor Jeff Colyer at his invitation. We had a productive discussion with the Governor on school redesign issues, teacher empowerment, and how schools might ensure student success and the achievement of the College and Career Ready Standards for every child. The Governor has been holding discussions with many organizations interested in finding a resolution to the school finance issue. We thank the Governor for providing this opportunity. The House Insurance Committee, chaired by Rep. Jene Vickrey (R-Louisburg) will hold a hearing on HB 2789 early on Tuesday morning, March 27. 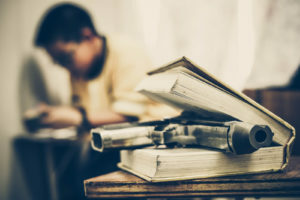 This bill would allow school districts to permit some or all teachers to carry firearms in school. KNEA opposes this bill and will testify in opposition before the Committee. 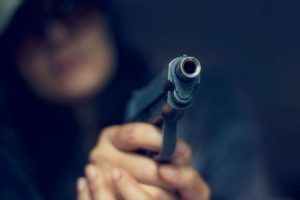 Kansas NEA’s position is that the safest schools are gun-free schools where the only armed persons on any school campus should be trained and licensed law enforcement personnel. Our position is an informed position having consulted with law enforcement officials who train schools, businesses and community organizations for active shooter occurrences. Our position aligns with our long-standing core values.